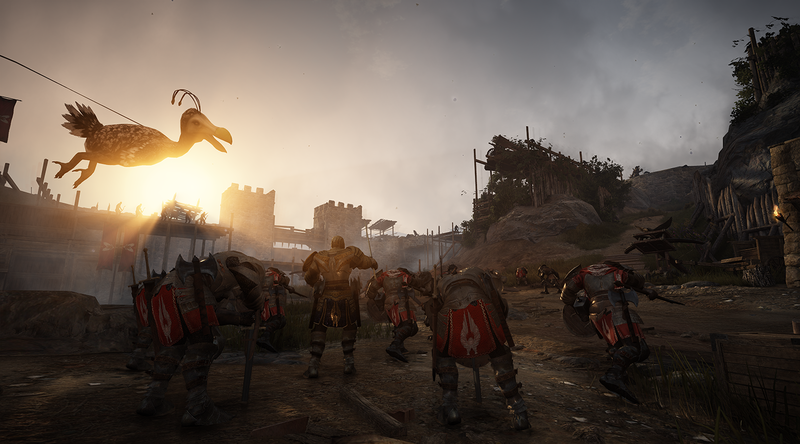 MANHATTAN BEACH, Calif.—April 3, 2019—Less than one month after the launch of Black Desert for Xbox One, publisher Pearl Abyss today announced that its second content expansion is now available as a free update. 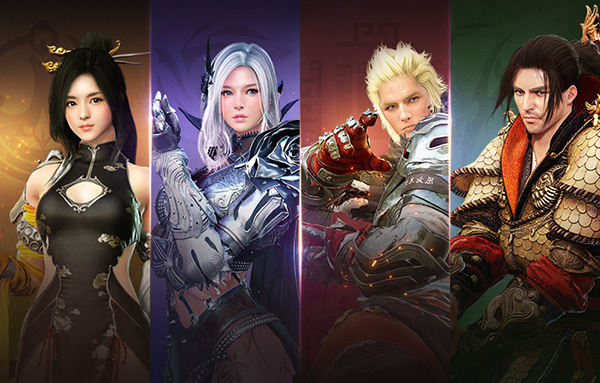 The fantasy-action MMORPG introduces four new classes, each bringing a completely new way to experience the game, as well as large-scale PvP feature modes called Node Wars and Conquest Wars. The four new classes, Dark Knight, Lahn, Musa and Striker, provide a compelling reason for players to start a new adventure within Black Desert as each character. Born of vastly different backgrounds and each bearing a unique combat, these new classes are exciting additions to the game. Dark Knight: Dark Knight wields the beautiful but lethal Kriegsmesser and burns through nature’s energy to amplify her power. Using a variety of ranged magical skills, Dark Knight can confuse her enemies and create opportunities for a deadly combo of attacks. Lahn: Lahn is extremely agile, with the unprecedented ability to leap and glide through the air over long distances. Combined with the flexibility of her Crescent Pendulum, whether she’s facing enemies head on or raining death from above, she is truly a force to be reckoned with. Musa: Musa uses a variety of oriental martial arts, focusing mainly on sword skills and his horn bow. Expert swordsmanship allows Musa to unleash quick and deadly combos, making him an incredibly formidable adversary. Striker: Born in Calpheon and trained by a martial-arts master, Striker is a close-quarters expert with countless years of training and experience. His skill in hand-to-hand attacks results in deadly consequences for those who meet him. A new large-scale PvP mode, Node Wars, has also been added to Black Desert. Supporting 25-100 players, Node Wars will allow Guilds to fight over specific node locations until the last fort stands. The victorious Guild will be rewarded with gold from part of the worldwide tax collection for the occupied node for that week. Once per week, players and their guilds can also participate in Conquest Wars. Larger in scale than Node Wars, this event requires players to control the Balenos and Serendia territories and promises even bigger rewards. Guilds will build a Command Post to defend, with the aim to be the last one standing. The victors can claim both the Balenos and Serendia territories, and will be awarded taxes from the entire region for that week. Due to Black Desert’s rising popularity, the game is now available in Australia and New Zealand. Black Desert now supports the Spanish language in-game. For more information on today’s new content for Black Desert, please read the official update details here. For more information about Black Desert, connect with us on Facebook, Twitter and YouTube. 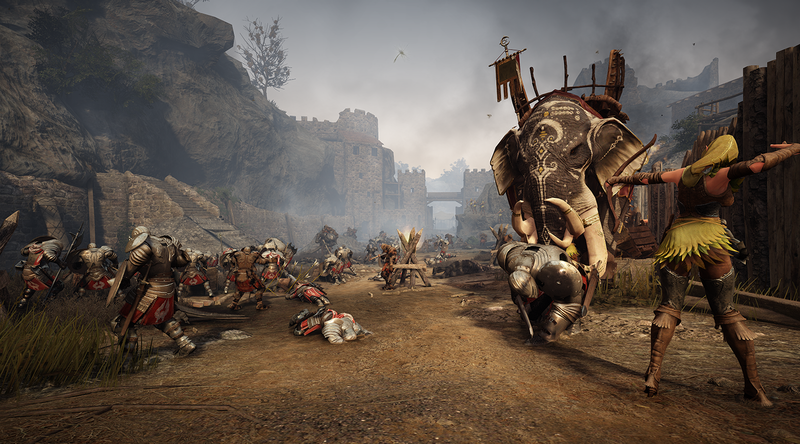 A press kit for Black Desert on Xbox One can be found here. Black Desert is an open world action MMORPG with cutting-edge visuals and skill-based combat that redefines the genre. Black Desert has the most fully developed character customization system of any game that is currently on the market. This feature allows users to break out of the norm and make unique characters that truly represent each and every player. Its intuitive controls, beautifully designed world and extensive lore will excite both newcomers and veterans of MMO games and action RPGs. Black Desert Online for PC has been successfully launched in over 150 countries, is available in 12 languages and has over 10 million registered users. Best known for the MMORPG franchise Black Desert, Pearl Abyss is a leading developer in the game industry. Established in 2010, Pearl Abyss has since developed Black Desert for PC, mobile and console. With all their games built on their proprietary engine, their games are renowned for their cutting-edge graphics. The company has two new projects in the works and is poised to continue its growth through 2019 and beyond to maintain its position as one of Asia’s leaders in game development. More information about Pearl Abyss is available at: www.pearlabyss.com. The milestone was reached in four years after its initial release. First major expansion goes live less than 10 days after launch. Become your true self in this genre-defining MMORPG.